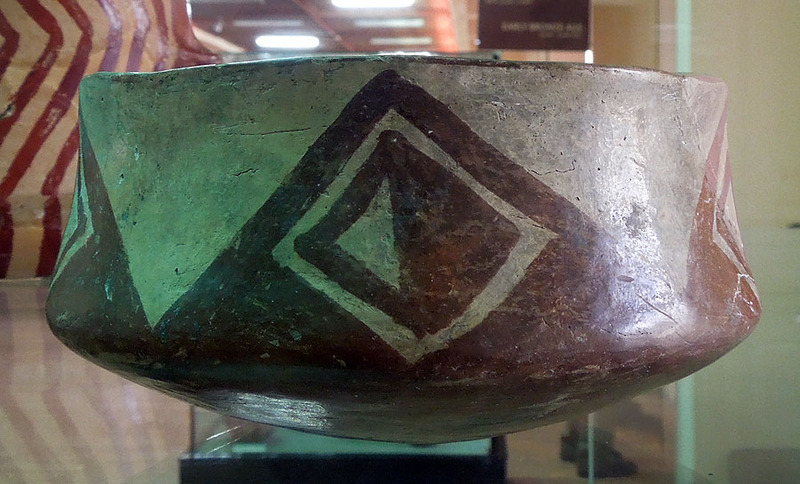 Hacilar is the Turkish name for an important Neolithic archaeological site in Turkey. 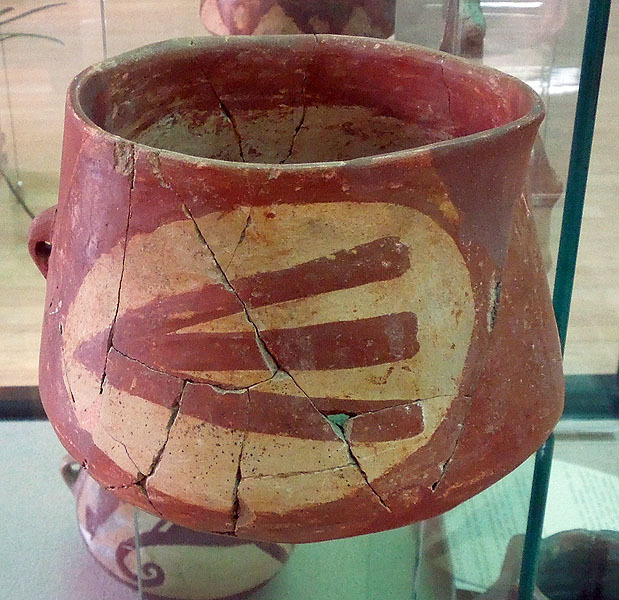 Several significant artifacts from this site are displayed in the Museum of Anatolian Civilizations in Ankara, Turkey. 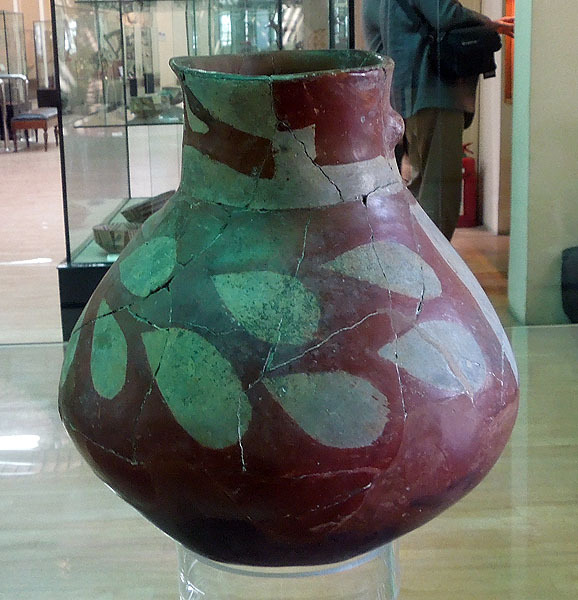 The artifacts were excavated from Hacilar by Professor James Mellaart between 1957 and 1960. 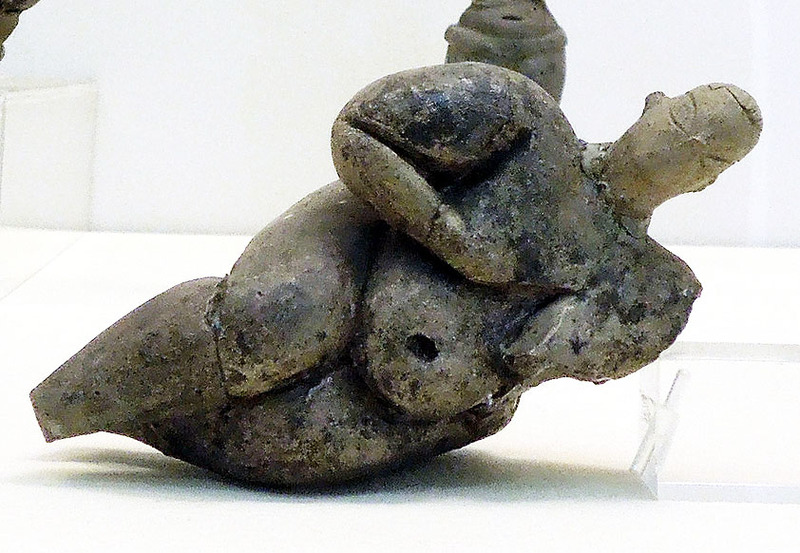 The clay figurines are extremely significant in the history of religion and art. 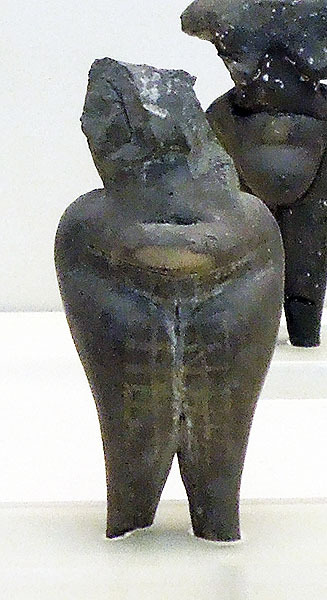 Seated mother figurine with child (no. 519) from House Q.VI.5. The bottom and legs of the child are beneath the right arm of the reclining figure. 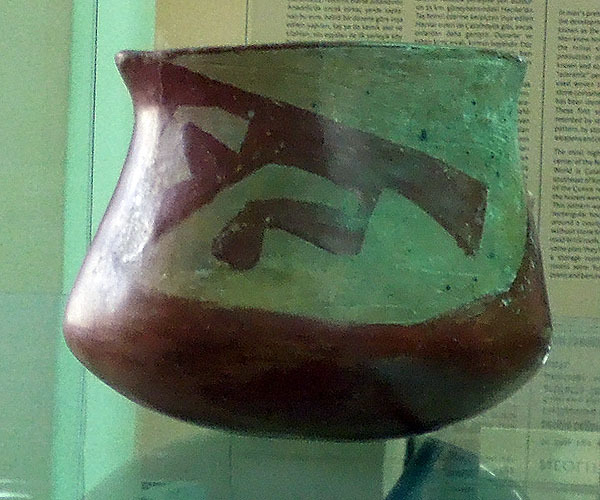 Dated to the six millenium BC. The hair and pupils of the mother's eyes bear traces of black paint. Height 6.6 cm. 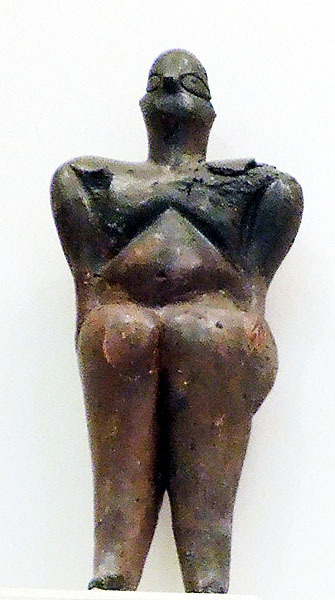 Unbaked clay female figurine (no. 518) "Mistress of Animals" clutching a leopard cub and seated on a leopard. From House Q.VI.5. ; height 13 cm. 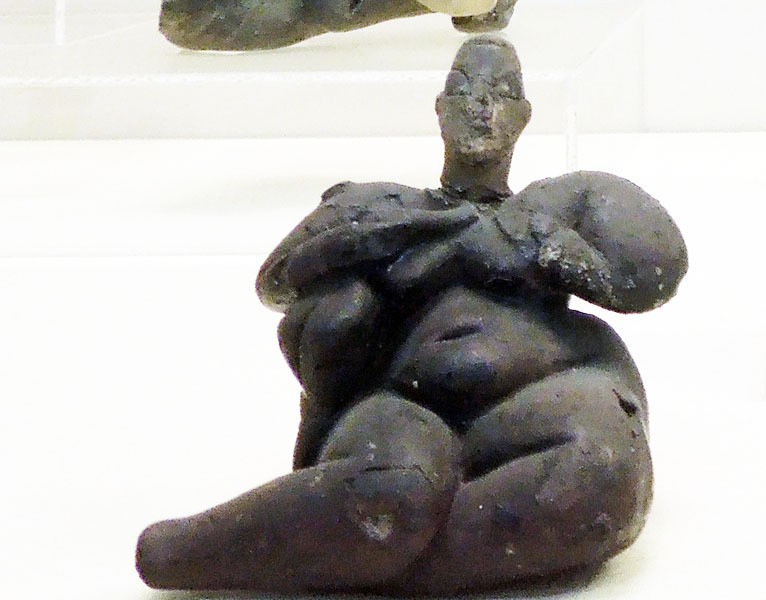 Unbaked figure of a pregnant woman (no. 576) resting on her left side from House Q.VI.5. 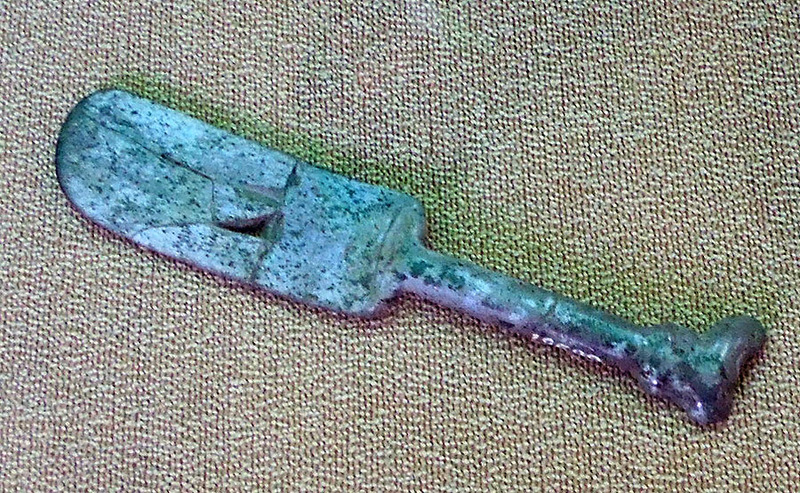 Length 11 cm. 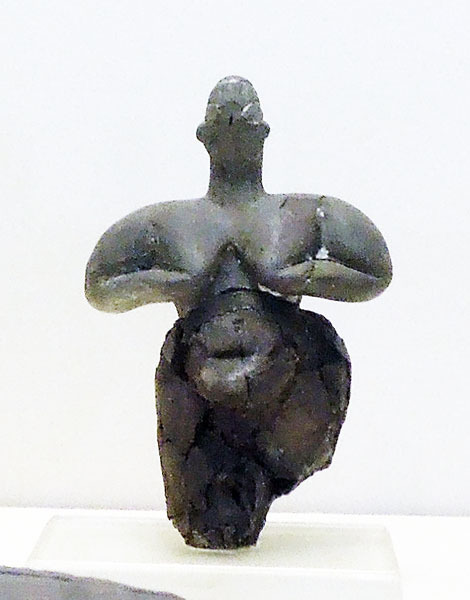 Figurine (no. 520) of a goddess from House Q.VI.5. Height 24 cm. 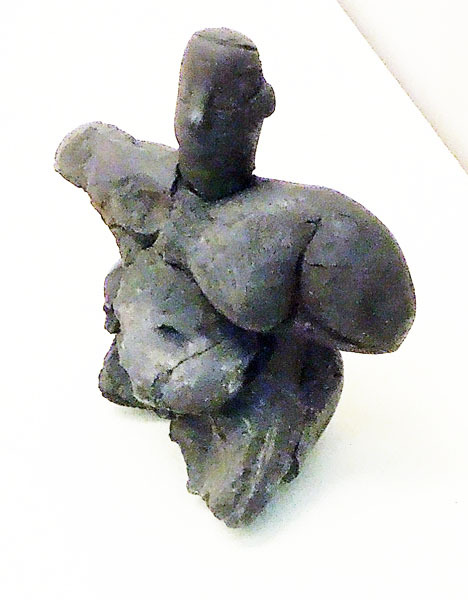 Fragmentary figure (no. 522) of a mature woman from House Q.VI.5. Height 14 cm. 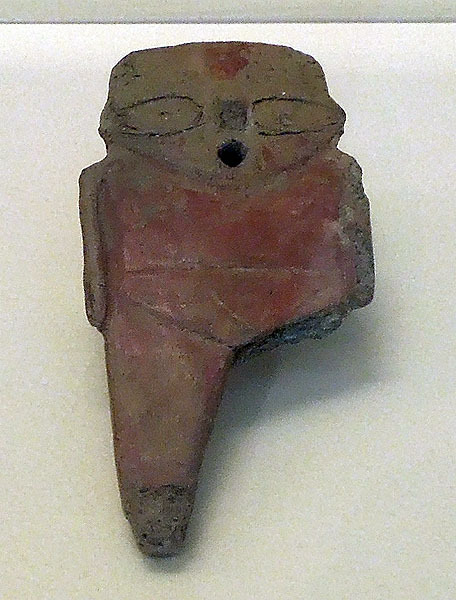 Pink burnished slip on a flat plaque shaped in the form of a human figure (no. 455) from House P.VI.I. 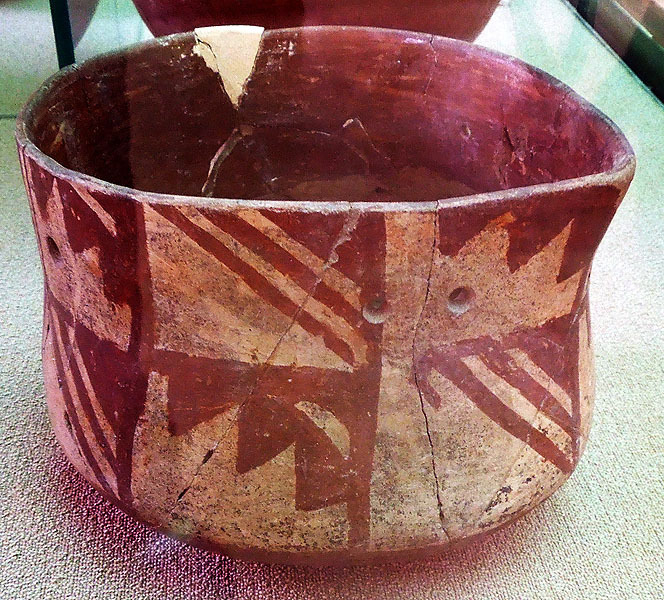 The raw material is clay though similar plaques were made from limestone. 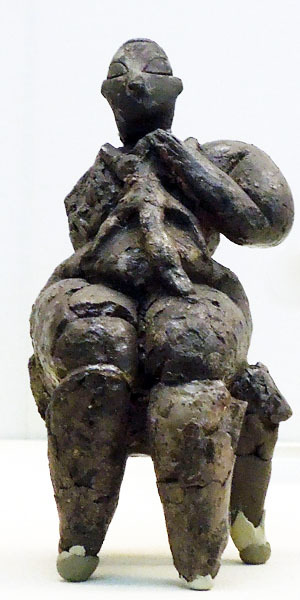 Damaged seated female figurine (no. 574) holding her breasts from House Q.VI.5. Height approximately 9.8 cm. Standing figure (no. 507) of a mature woman with traces of white painted apron from House Q.VI.4. Height (without head) 9.4 cm. 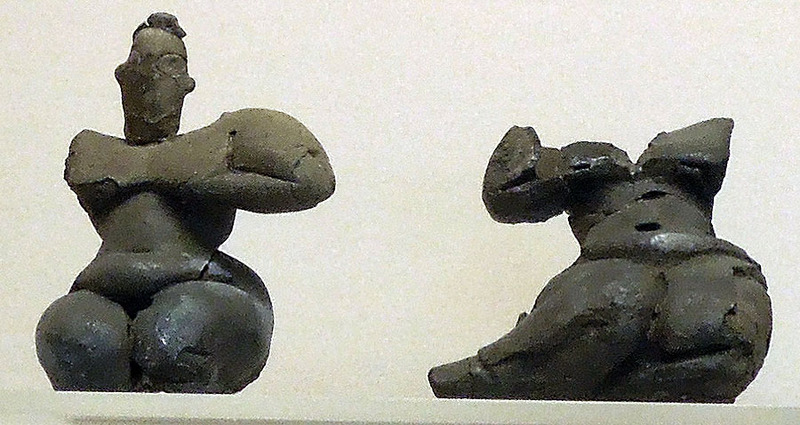 Two Neolithic figurines from Hacilar. 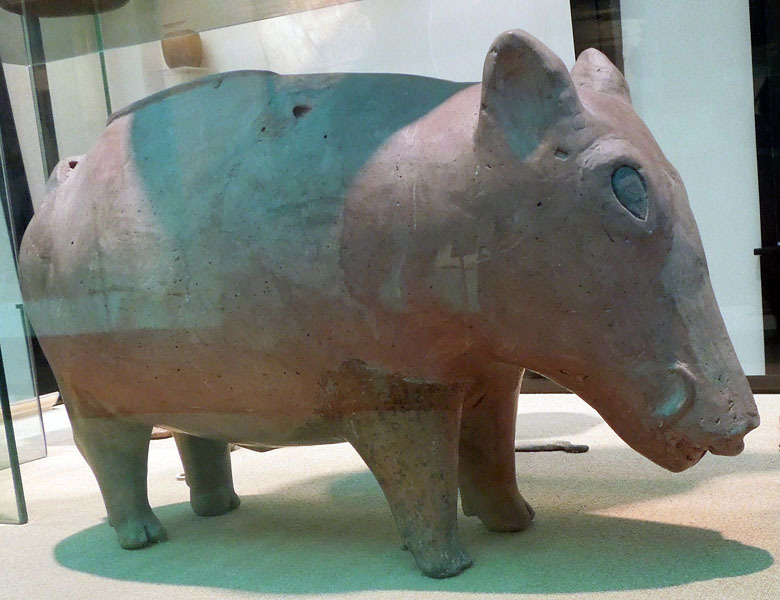 Left: damaged "Mistress of animals' seated on two leopards from House Q.VI.5. Height as prserved is 9.4 cm. Right: seated figure (no. 521) holding her breasts from House Q.VI.5. The was found separately; total height (with head included) is 7.8 cm. 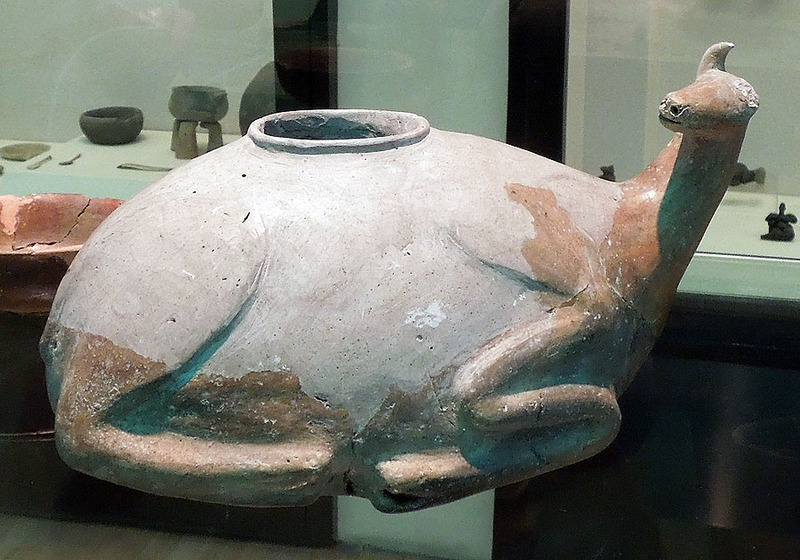 Ritual vessel in the shape of a recumbent deer from Hacilar level VI (approximtely 6000 to 6600 BC). 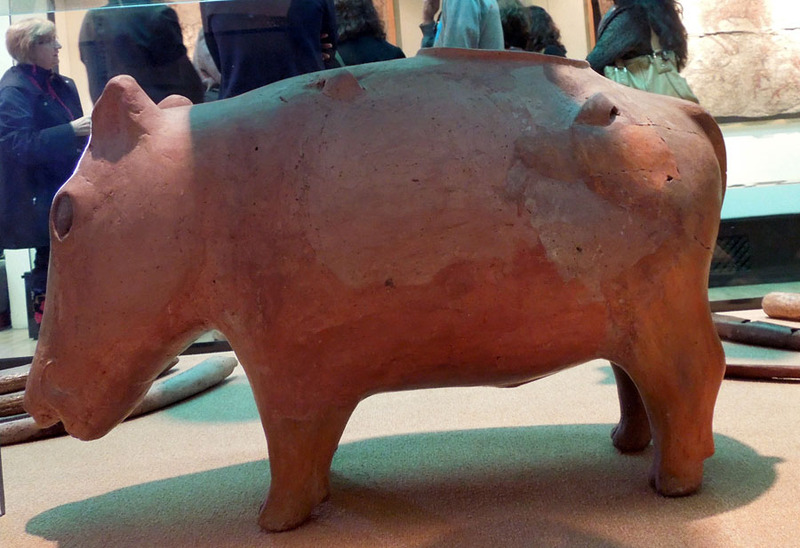 Ritual vessel in the shape of a boar from Hacilar VI. 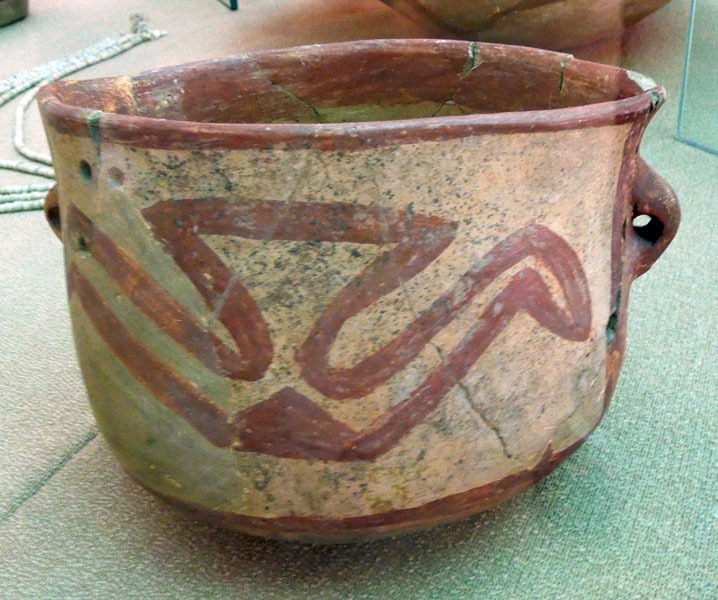 Early Chalcolithic painted pottery from Hacilar level IV. 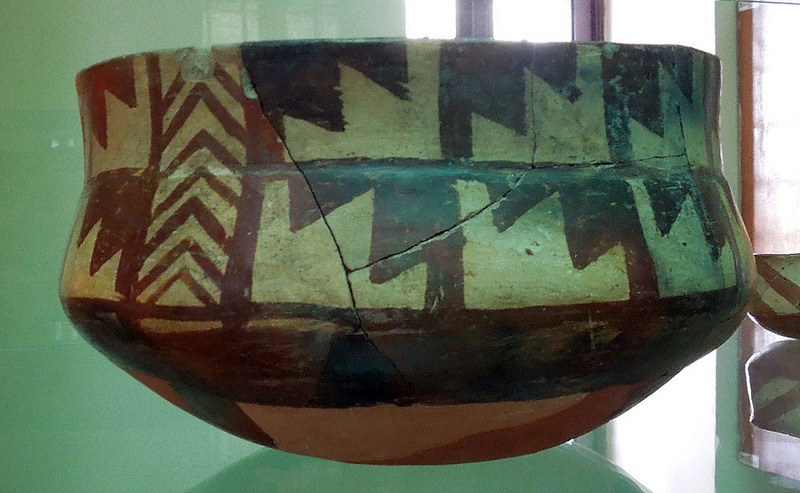 Early Chalcolithic painted pottery from Hacilar level IIA (apprimately 6000 BC). 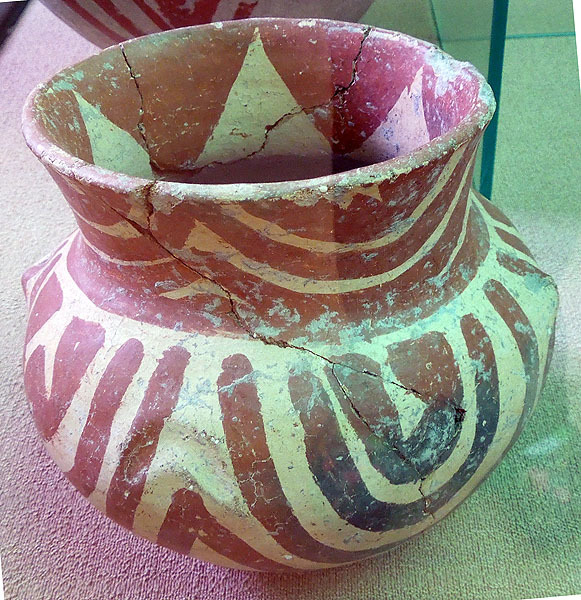 Early Chalcolithic painted pottery from Hacilar level IIA. 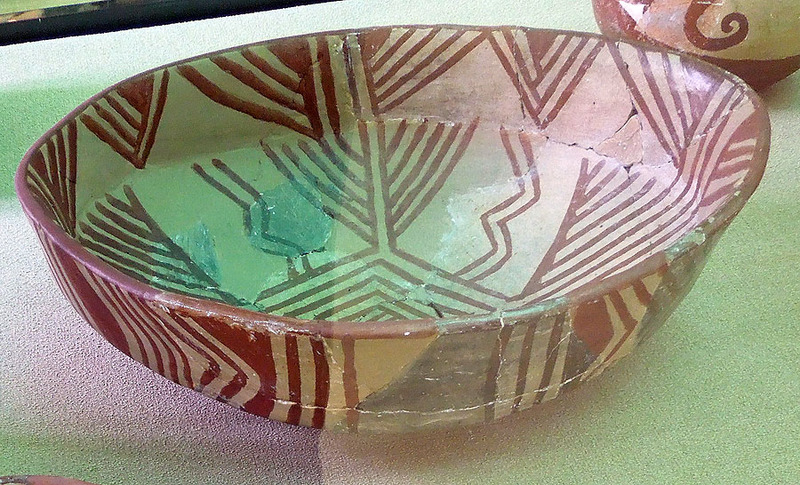 Painted pottery from Hacilar Early Chalcolithic level IIB. 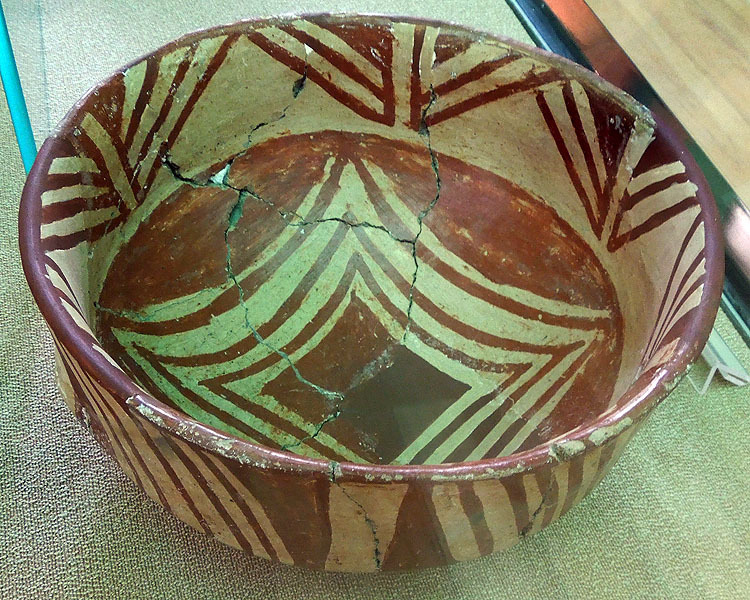 Painted pottery bowl from Hacilar Early Chalcolithic level IIA. 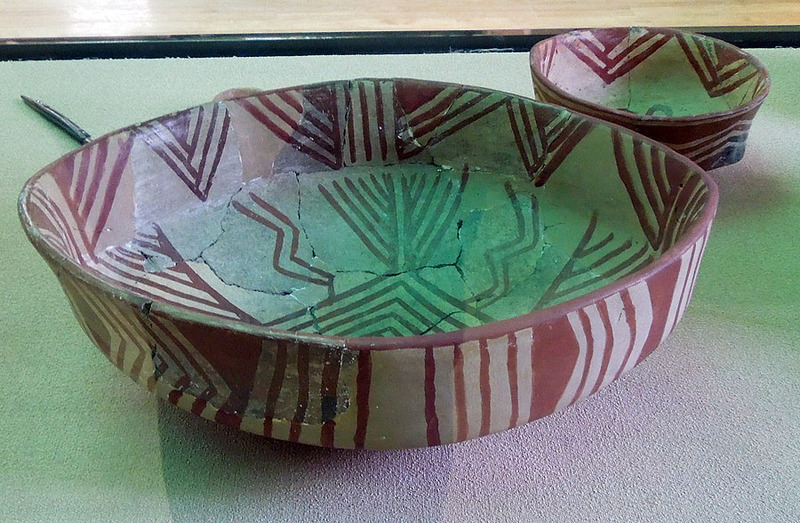 Painted pottery from Hacilar Early Chalcolithic level I (approximately 5700 to 6000 BC). 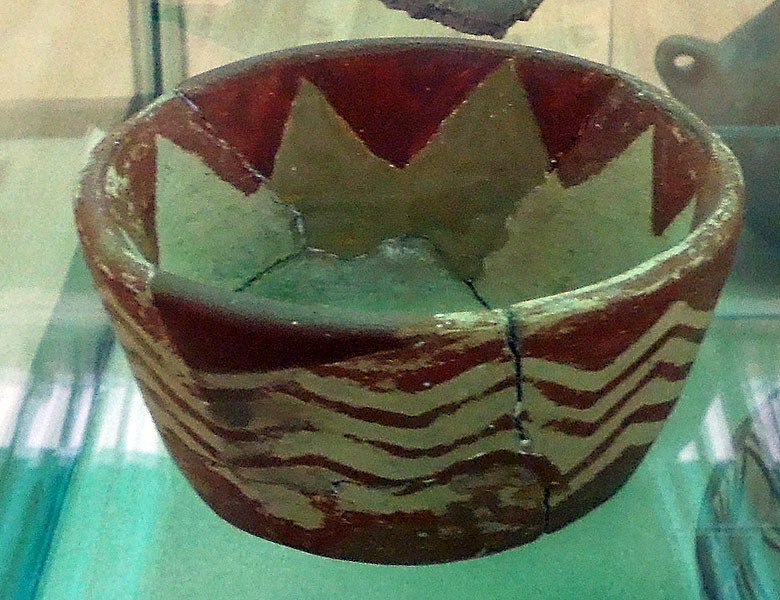 Early Chalcolithic painted pottery bowl from Hacilar level I. 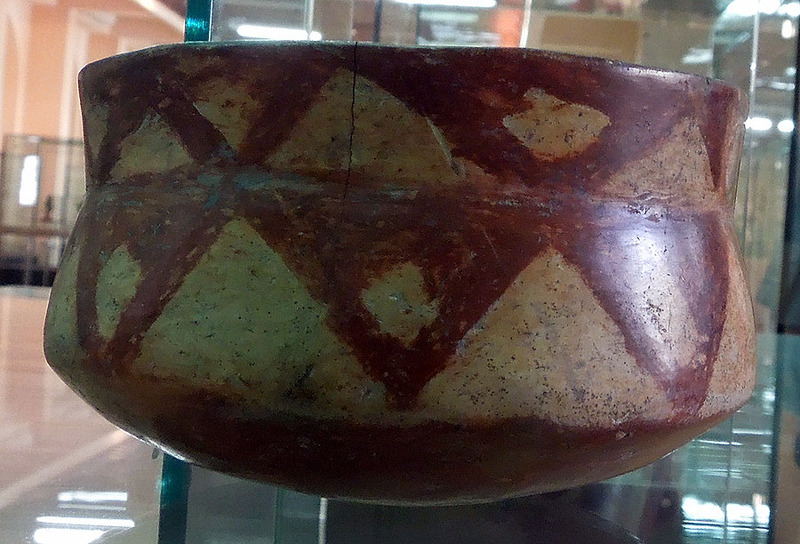 Early Chalcolithic painted pottery bowl from Hacilar level IIa. 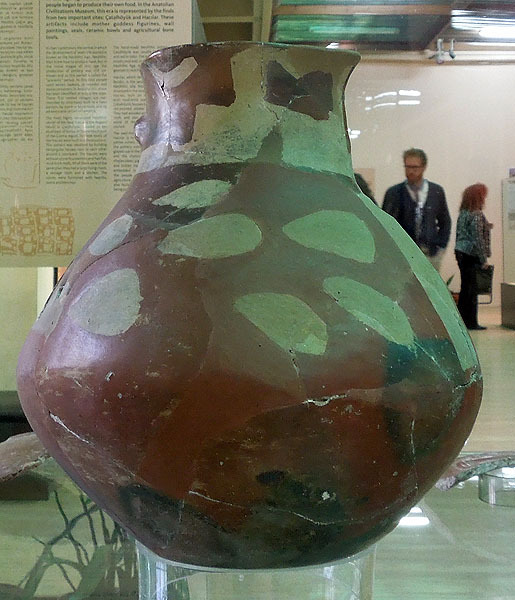 Painted pottery jar from Hacilar level I. 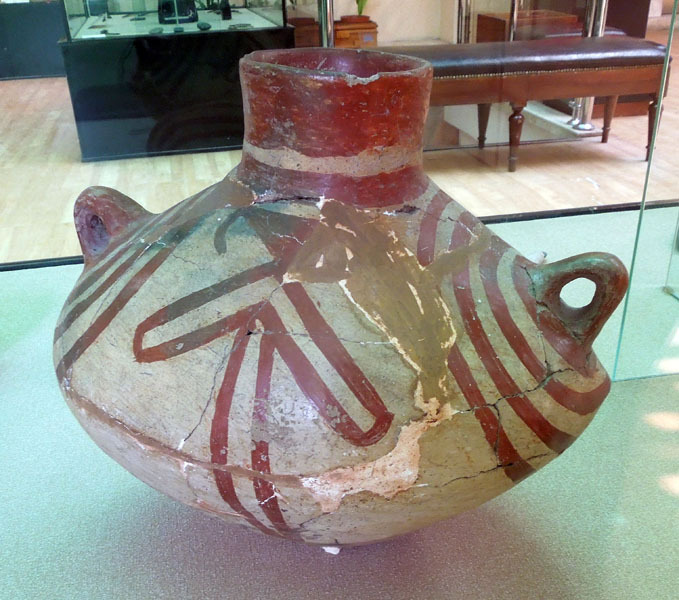 Painted pottery jar from Hacilar level IIa. 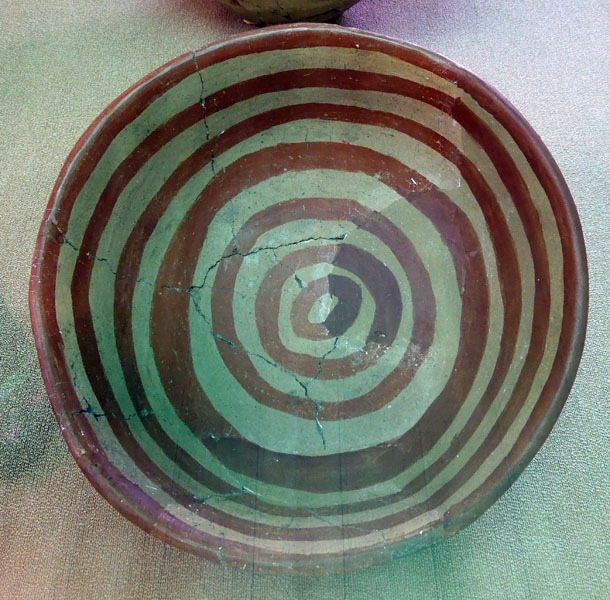 Painted oval pottery bowl (foreground) from Hacilar level I. 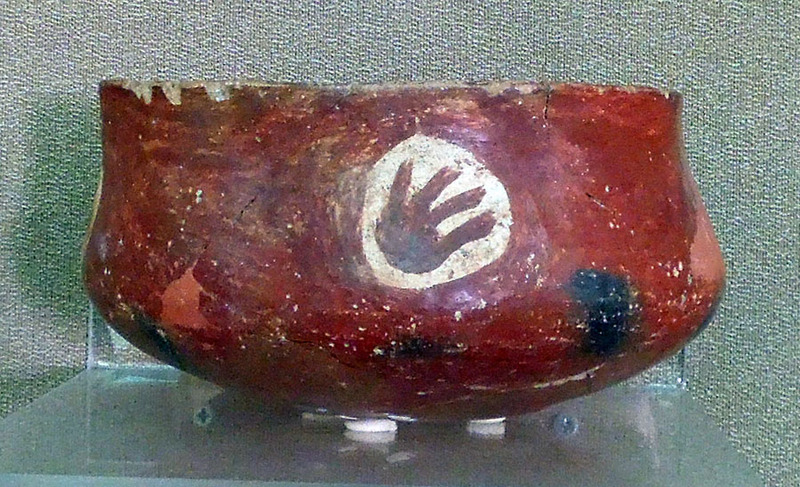 Painted pottery bowl from Hacilar level I.
Polished bone spatulae with an animal head at the end of the handle. Photographs taken in March 2012 while participating in a study abroad fellowship hosted by Ohio State University and the Niagara Foundation.